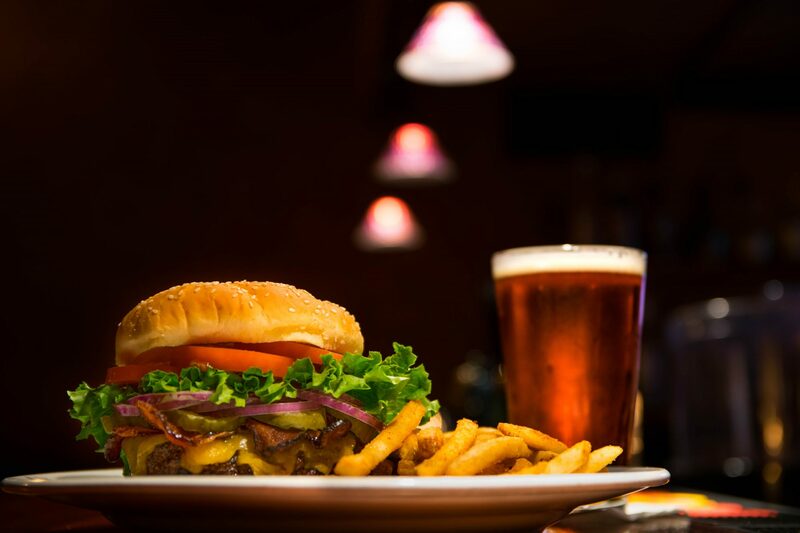 With so many great choices it’s hard to decide which of the pubs and restaurants have the best happy hours in Bend, Oregon. This not only includes cheaper prices for brews, either. Many of these locations also offer specialty cocktails and some tasty appetizers and meals at the same time. Of course we recommend exploring as many as possible to pick your favorite, but with so many options available you’ll be hard pressed to try them all. 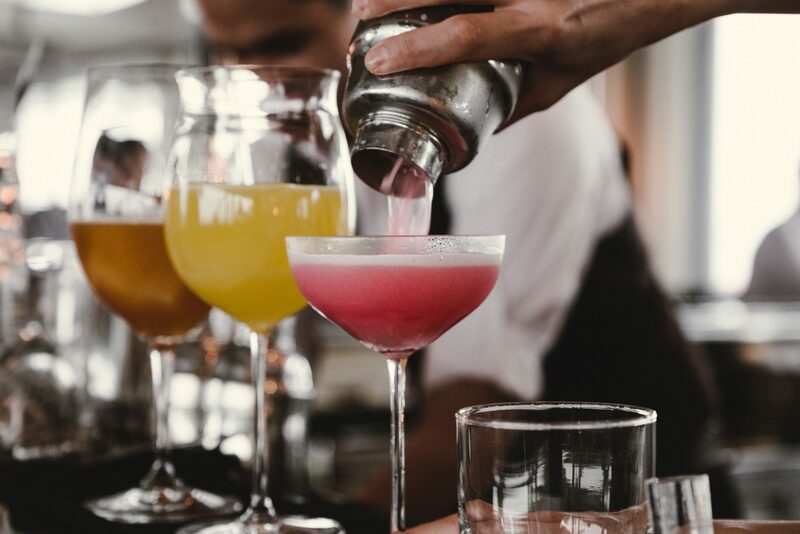 Instead, check out our handy guide to the best Bend happy hour locations, to see the times, prices, and what to expect when you show up. Whether you live in Bend or are just visiting for the weekend, any of the following locations are a great place to hang out for a few hours. 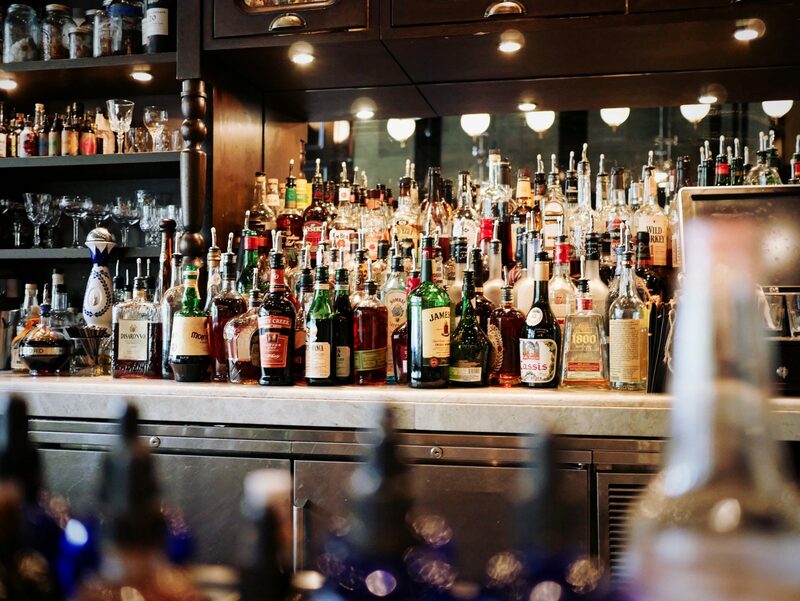 The happy hour times, prices, and atmosphere may change with each place you visit, but there’s no doubt that you’ll find a favorite or two in the following locations. When you enter The Dogwood Cocktail Cabin, the first thing you’ll notice is the rustic decor. This outdoorsy look may have been their inspiration for their “Cabin Fever”, which runs from 5 PM to 7 PM, Monday to Saturday, and all day on Sunday with a local ID. On their drink and food menus, many of the items have a star beside them, which are 25% cheaper during Cabin Fever hours. Some of their popular dishes include dirty popcorn and fried mac & gruyere cheese. You can also enjoy a variety of excellent cocktails, like the bluebird, thai one on, or bee sting at discount prices. 10Below is located in the Oxford Hotel, giving it a more modern, classy look than your average pub. They have 2 happy hours each day, from 2 – 6 PM, and again from 9 PM to close. During this time, you can get a local craft beer for $4. There are also house wines and cocktails, like margaritas and highballs, for $6. Though their restaurant closes at 10 PM, you can order some snacks from their small plate menu. The $6 mac and cheese is popular, as is the wonton ahi tacos for $12. Though called a small plate, they won’t leave you hungry. Though those who frequent the Citizen Bar & Kitchen may not remember prohibition, the low lighting and vintage decor of the bar resemble that of the speakeasies of that era. Their happy hour is from 4 to 6 PM every day, serving drinks and draft beer for $4 or wines for $5. At the same time you can also grab a bite to eat, sampling popular items like $3 oysters, a wedge salad for $7, or even a thick burger and fries for $13. You can grab a table or eat at the bar while you listen to some music or just enjoy the atmosphere. 5 Fusion & Sushi Bar is a great place for happy hour in Bend, with their modern decor and cozy atmosphere. 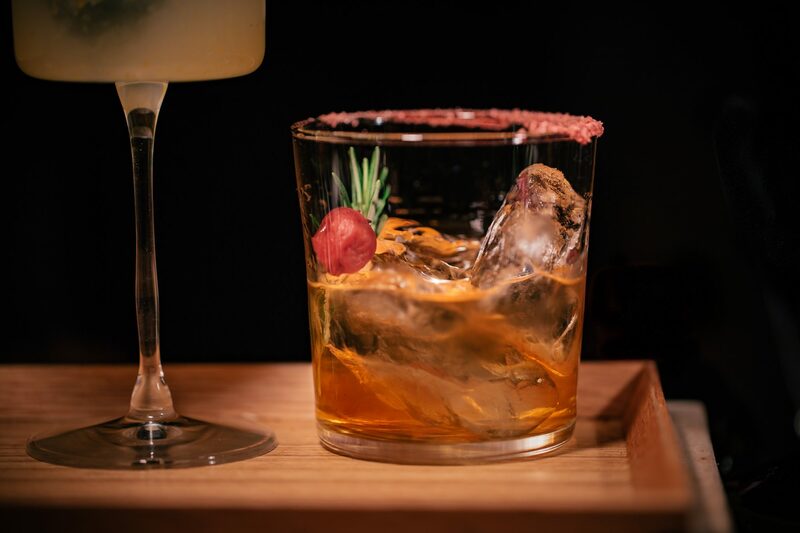 They have happy hour every weekday, from 4 – 6 PM, where you can sample some of their delightful dishes and refreshing drinks at a great low price. A Sapporo Draft costs only $3, or you can spend $2 more on a house red, white, or a sake. They also have a few cocktails for $6. The $7 pork tenderloin lollipops are a favorite, as are the crab & shrimp stuffed shitake mushrooms. They call themselves “the living room of Bend’s westside”. So it’s no surprise Cabin 22 has the relaxed, casual atmosphere of a sports bar. Though the food and signature cocktails add a bit of class. Come in every weekday for happy hour, from 3 – 6 PM, where you can enjoy rotating drafts for $1 off, plus $2 tall boy specials. Well drinks and wines are $4 each. All their happy hour food costs $5, so you can enjoy lil’ nachos, a classic Margherita pizza, or cabin potstickers without breaking the bank. The Brown Owl is original in its setup, with drinks served inside and meals made out in the parking lot from a food truck. You can eat and enjoy your drink inside or outside on the huge patio, settled at a table near the fire pit. Happy hour is daily from 2 PM to 5 PM, and though there are no happy hour prices on food, the rotating selection of draft beer is $1 off. There are also house wines for $5 or well drinks for $4. The Brown Owl also offers daily specials which include the Mule Monday $7, Flights & Fries Tuesday, Locals Day Wednesday with happy hour pricing all day, the Burger & Beer Thursday $13 and Bottles & Cans Friday. If you’re looking for a fun restaurant that serves quality locally-sourced food for a great price, the family-run Bangers & Brews is a great place to stop. The location seems a bit small, but they have a large patio and friendly service. From 3 – 6 PM daily (except Sundays) you can join them for happy hour, with $1.50 off their great craft beer. They also have some food specials as well, like $2.50 off their specialty fries or $1 off their gourmet sausage on a bun. Though they’re off the beaten path a bit, it’s well worth the trip. Small and cozy, the White Water Taphouse boasts a wide, rotating selection of brews and friendly, knowledgeable staff. They don’t have much in the way of food, though, only offering snacks like mixed nuts, herb popcorn, or chips & salsa. If looking for a dinner spot, this isn’t the place for you, but it’s a great way to relax, play some cards, or just watch a game on TV. Every weekday from 3 – 5 PM, you can join them for happy hour, where you can take $1 off any drink on their menu. They describe themselves as an authentic neighborhood joint, but there is a bit of an upscale ambiance to Drake you won’t find at some other restaurants. This is likely due to the handcrafted bar, modern decor, and open kitchen. Join them daily between 3 – 5 PM for happy hour, where you can enjoy reduced prices on delicious items like the roasted cauliflower or portobello fries that look as good as they taste. You can also enjoy $3 Coors Light, $4 draft beer, $5 wine and well drinks, $7 classic cocktails, and $8 specialty cocktails. For a relaxed and somewhat rustic place to enjoy happy hour, try out the Craft Kitchen and Brewery. Their happy hour is from 2:30 – 5:30 every weekday, where they discount the beer they have on tap and offer $5 tapas. If tapas aren’t to your taste, they also have an extensive menu of locally sourced options. You can sit inside or take one of their craft or guest brews out onto their patio and relax at one of the many picnic tables while enjoying the view. For another great happy hour in Bend, you can’t go wrong stopping in at Hola! They offer $2 off select drinks, like margaritas and mojitos. You can also take $3 off every appetizer on their menu, so you can enjoy a portobello quesadilla or some nachos Cubano with your favorite cocktail. They also have 3 locations in Bend, so you can pick the one closest to you to spend an evening at. Though all three have their own design and style for decor, they all have the same quality for food, drinks, and service. Jackson’s Corner is another great happy hour spot in Bend, Oregon. They make all their own bread and pasta in house, using locally sourced ingredients for everything on their menu. They offer $1 off their seasonally rotating drinks, drafts, and glasses of wine. The menu is also discounted during those 2 hours, offering options priced at $2 – $15 for you to nibble on. Their brick oven pizza is a particularly tasty choice. And the decor in both locations is a mix of modern and rustic, with a relaxed atmosphere and great staff. The location of Brickhouse began as a firehouse but has since been upgraded to one of the best steakhouses in Bend. It is a bit more upscale than some other locations, but you’re paying for the experience as well as the meal. They have a true happy hour, from 4:30 – 5:30 every weekday, with HH appetizers like fish tacos and truffle fries. The HH drinks include red or white house wines for $6 and some signature cocktails for $7.50.They even offer fresh squeezed margaritas, greyhounds, or screwdrivers for $5.50. This isn’t just a fancy name, the McMenamins Old St. Francis School actually used to be a school. It now houses a hotel, movie theater, bathhouse, restaurants, and a few in-house bars, including the Theater Bar, the Fireside Bar, and the Old St. Francis Pub. All three have differing decors, but the knowledgeable staff and happy hour specials are all the same. You can get some cajun tater tots, fireside nachos, or even an apple crumble while you sample their HH drink specials. The prices vary on those drinks too, depending on what you favor, but they are all worth a taste. Happy hour in Bend doesn’t have to be just craft beer and burgers. Barrio is a nice, upscale Latin American restaurant with a cozy atmosphere and tasty food. Their happy runs from 3 – 5 PM from Monday to Saturday, and all day on Sunday. Cocktails cost $5.50, wine and sangria are $6, and the Modelo Especial is only $3. You can also get $3 tacos, $1 off all dinner tapas, and a few other tasty favorites to sate your hunger in their high-energy dining room or on the lovely shaded patio. Located in downtown Bend, Pine Tavern overlooks the beautiful Mirror Pond, giving you great views all day long. Wood paneled walls, wood tables, and wood chairs all reflect the history of this location and its name. Their happy hour is one of the best in Bend, as well. 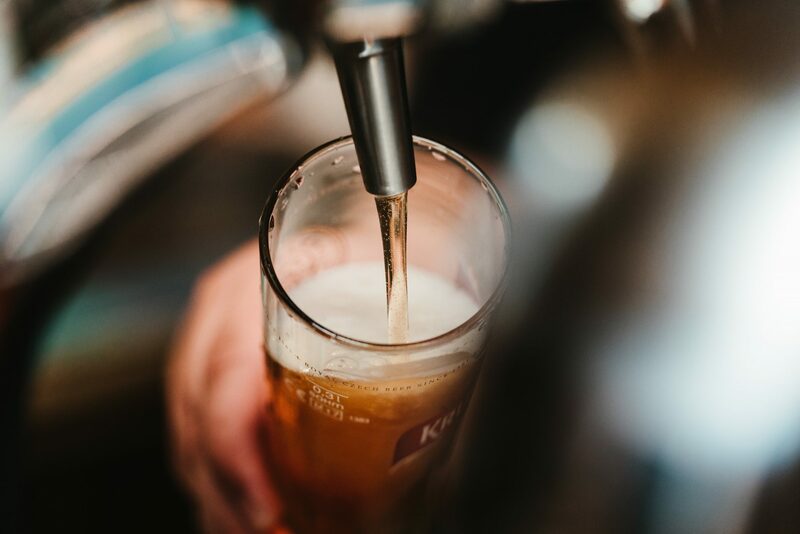 Every weekday from 3 – 6 PM, and from opening to 4:30 on weekends you can enjoy a Pabst Blue Ribbon for $2.50 or seasonal draft, well drinks, or HH red and white wines for only $4.50. Some popular tasty dishes with discounted prices include the $4.95 half pound tavern burger or the $2.95 pork pot stickers. When you think of happy hour in Bend, you likely think of cheap prices on craft beer. The Portello Winecafe goes a whole different way with their happy hour, though, offering glasses of red, white or bubbles for only $5 each. Best of all, you can choose any wine on their extensive menu. If you do prefer a brew, they also have a $3 Stella Artois. This casual, comfortable, yet upscale spot also has some delicious small plates to match with your wine, including the $3 Spanish cocktail bar mix and some homemade tomato basil soup for $4. This menu changes with the season, too, so you can always try something new. The animal heads, old west-style wallpaper, and exposed wood frame are what likely give the River Pig Saloon its name. But the big flat screens add a sports bar feel to this great happy hour spot in Bend. Every weekday, from 3 – 6 PM, you can pull up the bar or grab a table and enjoy their River Pig Lager draft for $4. They also have a few wine selections and tall boys for discounted prices. If you’re hungry, try out their $2 curly fries, or some River Pig nachos or street tacos for $6. Washington Dining & Cocktails has a great modern-looking bar where Liquid Therapy is served at happy hour prices every day from 3 – 5 PM every day. You can also take your discounted drinks and snacks outside onto their wonderfully rustic patio, complete with a long, rectangular fire pit. For drinks, you can get cheap beer and wine, plus a variety of house and specialty cocktails while you nibble on some shared plates or munch on an $8 burger. Since there are so many breweries in Bend, there’s no surprise that many of them offer some happy hour specials. Check out the following locations and what they have going on.